4	stars -	"Review for Scaffolders Magnetic Induction Level Polymer" Terry Ward This Scaffolders Magnetic Induction Level Polymer is the best Scaffolders Level I have tried. BIG BEN Polymer Magnetic Induction Level. 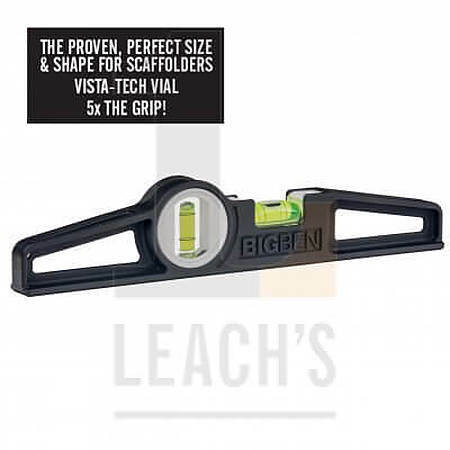 Light weight Strong Magnet ideal for Scaffolders Lightweight Scaffolder level with full warranty. suitable for a range of trades as well as scaffolders. This is the lightest 250 mm level available. Lightweight Scaffolder level with full warranty. suitable for a range of trades as well as scaffolders. This is the lightest 250 mm level available.